$REAMING OF  THE FUTUREHāloalaunuiakea Early Learning Center is a place where keiki love to go to school. It‘s also a safe place where staff feel good about helping their students to learn and prepare for a bright future. The center is run by Native Hawaiian U‘ilani Corr-Yorkman. U‘ilani wasn‘t always a business owner. She actually taught at DOE for 8 years. A Mālama Loan from OHA helped make her dream of owning her own preschool a reality. The low-interest loan allowed U‘ilani to buy fencing for the property, playground equipment, furniture, books…everything needed to open the doors of her business. U‘ilani and her staff serve the community in ‘Ele‘ele, Kaua‘i, and have become so popular that they have a waiting list. OHA is proud to support Native Hawaiian entrepreneurs in the pursuit of their business dreams. OHA‘s staff provide Native Hawaiian borrowers with personalized support and provide technical assistance to encourage the growth of Native Hawaiian businesses. Experience the OHA Loans difference. Call (808) 594-1924 or visit www.oha.org/ loans to learn how a loan from OHA can help grow your business. Published monthly by the Office of Hawaiian Affairs, 560 N. Nimitz Hwy., Suite 200, Honolulu, HI 96817. Telephone: 594-1888 or 1-800-468-4644 ext. 41888. Fax: 594-1865. Email: kwo@OHA.org. World Wide Web location: www.oha.org. Circulation: 64,000 copies, 55,000 of which are distributed by mail, and 9,000 through island offices, state and county offices, private and community agencies and target groups and individuals. Ka Wai Ola is printed by O‘ahu Publications. Hawaiian fonts are provided by Coconut Info. Advertising in Ka Wai Ola does not constitute an endorsement of products or individuals by the Office of Hawaiian Affairs. Ka Wai Ola is published by the Office of Hawaiian Affairs to help inform its Hawaiian beneficiaries and other interested parties about Hawaiian issues and activities and OHA programs and efforts. ©2019 Office of Hawaiian Affairs. All rights reserved. n March, Honolulu Circuit Judge Jeffrey P. Crabtree issued an order allowing OHA to continue its lawsuit against the University of Hawai‘i (UH) and the State for breach of fiduciary duty and for injunctive relief arising out of their failed management of Mauna Kea. OHA released the following statement after the Judge Crabtree’s March ruling: OHA is pleased to be able to pursue its legitimate breach of fiduciary duty claims against the University and the State for their longstanding and welldocumented failures as stewards of Mauna Kea, which will ultimately help improve the quality of the State’s management of the mountain as well as its ceded lands resources. After 50 years of empty promises to the mauna and our community, the State must be held accountable. Mauna Kea deserves better. To maintain the connection to the past and a viable land base, Native Hawaiians will participate in and benefit from responsible stewardship of Ka Pae ‘Āina O Hawai‘i. the Office of Hawaiian Affairs to manage these Hawaiian assets because it was “unanimously and strongly of the opinion that people to whom assets belong should have control over them.” In the nearly 40 years since, beginning with the 1980 law that specified that OHA would receive 20 percent of PLT revenues, the Legislature and OHA have gone back and forth to determine exactly what the Native Hawaiian people’s share of the PLT revenues should be. In 2001, the Hawai‘i State Supreme Court ruled that: The State’s obligation to native Hawaiians is firmly established in our constitution. How the State satisfies that constitutional obligation requires policy decisions that are primarily within the authority and expertise of the legislative branch. As such, it is incumbent upon the legislature to enact legislation that gives effect to the right of native Hawaiians to benefit from the ceded lands trust. Ballots were mailed-out in March in the rematch between Trevor Ozawa and Tommy Waters to represent Honolulu City Council District 4. Ballots are due by April 13 6pm. Walk-in voting is available as well: visit honolulu.gov/elections for more info. KWO asked readers for your top questions for the candidates. Here are their responses. Climate change is a reality. What should we do about it? We need to treat it like the crisis that it is by ensuring all of our land use ordinances push for policies to help address the results of climate change. I have introduced: Ordinances: > 15-10 shoreline improvement, restoration, and protection projects; > 14-6 created the Waikiki Beach Special Improvement District; & > 18-40 requires the Administration to clean our streams, like Wailupe Stream, to make them safer for residents living in the area. Resolutions: > 17-340, CD1; Urging the Administration to develop composting facilities capable of processing certain solid waste that is currently disposed of at the city’s H-Power facilities & > 18-55 Urging the Administration to increase the city’s urban tree canopy to 35 percent by 2035. > Secured $53 million for flood control improvements and funding for 20 new positions to deal with waterways’ care & maintenance. and properly preparing for rising sea levels and increased occurrences of natural disasters. I support continued funding for the city Office of Climate Change, Sustainability, and Resiliency to ensure that sustainable policies are adopted and integrated into City plans and initiatives as well as limiting shoreline development to ensure we aren’t exacerbating sea level rise impacts. What specific policies will you advocate for to protect the cultural, environmental and historic sites in our district? Continue to introduce Resolutions like: > 17-62, CD1 urging the Mayor for an event for 50th Anniversary of Hanauma Bay Nature Preserve > 18-263 which will ensure beach access in Portlock > Worked with the Honolulu Zoo working group to identifying improvements for the zoo, and develop solutions to address deficiencies. Worked with community stakeholders to urge the Administration to maintain operation of the Koko Head Crater Stables. I will fight to ensure city facilities are more accessible and enjoyable for everyone. Worked to secure: > $1 million - to purchase Kanewai Spring > $2.5 million - preservation of the Ka Iwi Coast Mauka Lands > $4.05 million - preservation of the ‘Āina Haina Nature Preserve > $1.5 million - Diamond Head Hillside Erosion Mitigation Projec > $500,000 - complete the EIS and State Historic Preservation consultation for the Waikı̄ kı̄ War Memorial Complex I worked to save the land behind Kuliouou from being developed, voted against paving over Malaekahana and supported Defend O‘ahu Coalition to ‘Keep the Country Country’. ecosystem, and giving heavily trafficked natural resources the opportunity to rest and restore can go a long way. As stewards of our community, it is imperative that we continue to support Livable Hawai‘i Kai Hui, Mālama Maunalua, and other community organizations that work tirelessly to preserve and restore our district&apos;s historical sites for our future generations. Do you support an expansion or reduction of the sit-lie ordinances? I understand that the sit-lie ordinances have created short term remedies for business districts such as Waikı̄ kı̄ and downtown to ensure that local small businesses aren’t bearing the brunt of impacts. However, I do not believe that sit-lie provides an adequate solution, and I do not support shuffling people from corner to corner. For that reason, I would be very reluctant to support any kind of expansion and would support sunsetting the current ordinances to force us to revisit them and hopefully reduce them as they become less necessary. Ultimately, the only solutions are to address root causes of our houseless community: treatment and in-home care for our kūpuna and those with severe mental illness, permanent affordable housing for low- and very-low income households, increased options for those looking to escape domestic violence, and stronger support networks for those struggling with addictions. Government, private industry, and community must partner in developing comprehensive solutions. Collectively, we know what is and isn’t working and have to take on this kuleana together. To maximize choices of life and work, Native Hawaiians will gain knowledge and excel in educational opportunities at all levels. A “walking school bus” with over 80 students and staff members travel from Hilo Union Elementary to the Boys and Girls Club in Hilo. Kaina Kauahi Insurance & Financial Services, Inc.
Kanaloa Designs is a Hawaiian owned, designed, and operated business delivering one-ofa-kind handmade pearl jewelry. The world is your oyster, and you are PEARL-fect in it! SHOW YOUR SUPPORT BY PATRONIZING THESE BUSINESSES. One million reasons to travel. Honolulu Autoworks Call 8088453772 to claim your $20.00 credit towards your next repair! Dfe%$=i`%/Xd$,gd2JXk1/Xd$)gd M`j`kljfec`e\]fifliJXkli[Xpfg\iXk`fej Honolulu Autoworks is a full service automotive and truck repair facility. Our staff of service technicians are certified, licensed and experienced! Together with over 30 years of service, each technician comes from their respective dealership background and training. Coupon must be cut and presented at time of write up, not to be combined with other offers or specials, some conditions/restrictions apply. Coupon has NO cash value and used towards vehicle repairs only. Coupon cannot be used towards any fluids or vehicle maintenance services. Expires end of March 2019. Specializing in Tropical Plants and Local Fauna. Heliconias, Ginger, Palms and many more! Designs By Kamealoha Specializing in Poleho Earrings, Leis, Pendants and many other Accessories. Follow me on facebook: Shane Castillo m.me/shane.castillo.79 Designsbykamealoha@gmail.com Custom Orders always welcome! Motion to approve Administration’s recommendations on NEW BILLS (Items 1 - 89) and BILL POSITIONS FOR RECONSIDERATION (Items 90 - 92), where Item 92, HB1347 changes from Monitor to SUPPORT along with the following revisions: CHANGE Items: • 27 / 77; HB1025 / SB1251 from Comment to OPPOSE; • 313 / 523; HB1114 / SB728 from Support to COMMENT; • 390; SB1 from Oppose to COMMENT; and • 556; SB919 from Support to MONITOR on the OHA Legislative Positioning Matrix dated February 13, 2019, as amended. Motion passes with eight AYES and one EXCUSED. Motion to approve Administration’s recommendations on NEW BILLS (Items 1 - 33) and BILL POSITIONS FOR RECONSIDERATION (Item 34 - 42), on the OHA Legislative Positioning Matrix dated February 20, 2019, as amended. Motion to authorize and Approve OHA Administration to develop position descriptions and selection process for new manager positions and to recruit three new managers to replace current Hi‘ilei Aloha LLC and Ho‘okele Pono LLC managers. Motion passes with seven AYES, one ABSTENTION and one EXCUSED. March 7, 2019 Motion to approve Administration’s recommendations on NEW BILLS (Items 1 - 11) and CHANGE Item 76, HB622 from Monitor to COMMENT, on the OHA Legislative Positioning Matrix dated February 27, 2019, as amended. Motion passes with nine AYES. To approve Administration’s recommendations on NEW BILLS (Items 1 – 7) and BILL POSITIONS FOR RECONSIDERATION (Items 8 -11), as well as CHANGE: • Item 42, HB622 from Comment to OPPOSE; and • Item 216, SB1495 from Support to COMMENT on the OHA Legislative Positioning Matrix dated March 6, 2019, as amended. Motion passes with eight AYES and one NO vote. In November 2017, the Office of Hawaiian Affairs published Mana LaĚ&#x201E;hui KaĚ&#x201E;naka, a multidimensional study of mana: what it is, how to articulate it, and how to access and cultivate it in order to uplift our laĚ&#x201E;hui. The book shared manaâ&#x20AC;&#x2DC;o from community contributors, including Clara â&#x20AC;&#x153;Aunty Sweetâ&#x20AC;? Matthews, on using culture and traditional knowledge as a foundation for how we advance in the world today. these kids.” ¢ The Office of Hawaiian Affairs is proud to partner with and support The Boys and Girls Club of Big Island in serving the youth of Hawai‘i Island. In fiscal year 2018, OHA Community Grants distributed $250,638 in funds for their Mohala ‘Ike Project. OHA Community Grants is a great opportunity for non-profit organizations serving Native Hawaiians to receive program funding over a two year time period. Learn more about the OHA Community Grants at www.oha. org/grants. NOTICE TO PROVIDERS OF PROFESSIONAL SERVICES The Office of Hawaiian Affairs (OHA) anticipates the need for professional services during the Fiscal Year 2020 (July 1, 2019 - June 30, 2020) and is seeking qualified persons and/or firms to provide professional services in specified areas. Interested parties are invited to submit expressions of interest and statements of qualifications. As needs for services arise during the course of the fiscal year, OHA will look to the list of qualified applicants from which selection of contractors will be made. 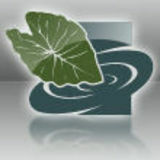 The list of services anticipated to be needed and instructions for applying can be found on OHA’s Notice to Providers of Professional Services on the State Procurement Office website at https://hands.ehawaii.gov/hands/opportunities and on OHA’s website at www.oha.org/solicitations. Copies of the notice can also be picked up at OHA’s office located at 560 N. Nimitz Hwy., Suite 200, Honolulu, Hawai‘i during business hours. All expressions of interest and statements of qualifications must be postmarked or delivered to OHA by 2:00 p.m., Friday, April 12, 2019. Facsimiles, emails, and other forms of electronic submittals will NOT be accepted. Inquiries regarding this notice can be directed to Miki Lene at (808) 594-1993. To celebrate Earth Day, Ka Wai Ola brought together two of our community’s top thinkers on climate to sit down with your new editor to discuss climate and our islands. Hussey: What impacts will climate change have on our Pacific islands? Fox: There are a number of ways that Pacific Islands will be impacted by climate change. Some of those are changes in rainfall, with less rainfall available for drinking water. But when we do get rainfall, typically, it'll be in heavier storms. This will cause flooding and increase temperature and will have a number of different effects on our daily lifestyle. I focus on sea level rise. So we have been talking a lot about planning for about a meter. So about three feet of sea level rise for the future. For Hawai‘i, three feet is roughly our high tide, so we can think about what the tide is like at its highest point. That's going to become the new average, the daily average of the water surface. On high islands like Hawai‘i, Samoa, and Tahiti, the impact is going to be along the coastline. By the end of the century, sea level rise could have much more drastic impacts not only on flooding, but also on aquifers. So groundwater becoming salty, and that becoming permanent. So you really have to start thinking about your daily lifestyle. But in low lying places, or places where you have large flat coastal areas, the impacts will really be a lot greater, right. The Marshall Islands are actually planning to build artificial islands, essentially raising the level up of their existing territory. Hussey: I’d like to ask a provocative question. Why it is that climate is not often considered to be a “Hawaiian issue?” Fox: I think climate change is a Hawaiian issue. And it's an issue important to the lähui, but I want to recognize that our lähui, our people, face a tremendous amount of inequities right now. And so when our people are worried about economic disparities – the exorbitant costs of housing and living in Hawai‘i – that shifts our perspective from think generationally to think about day to day survival. We need to help our people view the climate change sector (and the work and the actions ahead) through the lens of our kupuna and our ancestors, > Dr. Kealoha Fox is Ka Pou Käko‘o Nui of the Office of Hawaiian Affairs, charged with supporting the Executive Offices of its CEO. She directs agency initiatives for Mauli Ola (Native Hawaiian Health) that address the social determinants of wellbeing among the indigenous people of Hawai‘i. Dr. Fox also serves as academic faculty at the John A. Burns School of Medicine and College of Tropical Agriculture and Human Resources, University of Hawai‘i at Mänoa. She is a Commissioner on the Hawai‘i Climate Change Mitigation And Adaptation Commission. > Haunani Kane is a PhD graduate student at the University of Hawai‘i at Mänoa. Her research focuses on the impact of sea level rise on Pacific islands. She is an assistant navigator on Höküle‘a. which is very generationally-based, and not meant to be so proximal. Our kupuna had a much higher standard for our quality of life and for the betterment of our people. I believe that our kupuna and Ali‘i thought very far into the future about our survival. Part of the need is really just helping to go back to that mindset. Ola ka inoa (The name lives) By Claire Ku‘uleilani Hughes, Dr. PH., R.D. of the poetry of the Hawaiian language. Ha‘ina nane was a serious part of the ancient Hawaiian courts where each chief of importance would have his own keiki ho‘opapa (expert riddlers). Visiting chiefs would have their own expert challenge the host‘s expert in contests for entertainment. Today, the ha‘ina nane teases us as Hawaiians to think as our older folks did so we can discover and enjoy their answers. ¢ Ku‘u wahi i‘a, ke moku ke po‘o, kanu ‘ia i ka wai a ola no. My fish, when the head is cut off, plant it in water and it lives. Ka ha‘ina: Ka huIi kalo, taro plant. The head is the corm of the taro and the tail are the leaves. ‘Elua ‘ili‘ili, puni ka honua. Two pebbles view the whole earth. Ka ha‘ina: Na maka, the eyes. He ipu no he po‘i, he ipu no he po‘i, a pa i ka lani. A gourd with a cover , a gourd with a cover till the heavens are reached. Ka ha‘ina: Ka ‘ohe, the bamboo. Each joint of the bamboo is covered. Ku‘u ‘ele, ku‘u lua, ku‘u mo‘o. My black, my hole, my lizard. Ka ha‘ina: ‘elemakule, luahine, mo‘opuna. This is a play upon the Hawaiian words: ‘ele+makule, lua+hine, and mo‘o+puna. A lau a lau ke ‘alinalina, ho‘okahi no ‘opihi ko‘ele. Many small shellfish, one large shellfish. Ka ha‘ina: Ka mahina ame na hoku, the stars and the moon. experience. The most important thing to do was to come there with no preconception of what’s going to happen and not have anything planned to play. To have a local event listed in our monthly calendar, email kwo@ oha.org at least six weeks in advance. Make sure to include the location, price, date and time. If available, please attach a highresolution (300 dpi) photograph with your email. accompanied by an adult. Free. Call (808) 233-7330. Apr. 24 Experience an exhibition of hula and folk dance from around the Pacific. Free. No tickets required. Merrie Monarch Invitational Hawaiian Arts Fair Apr. 24 - 26, 9 a.m. to 5 p.m. Apr. 27, 9 a.m. to 4 p.m. This art fair is an absolute annual favorite full of local artisans, crafters and live entertainment. Free. AfookChinen Civic Auditorium. Merrie Monarch 2017, Hālau Hula Olana Kumu Hula - Howard and Olana Ai, Shelsea Ai Apana. - Photo: KWO File Miss Aloha Hula Apr. 25, 6 p.m. Watch individuals compete for the title of Miss Aloha Hula with contestants performing hula kahiko, hula ‘auana and oli. Group Hula Kahiko Apr. 26, 6 p.m. Marvel as the Hälau hula perform anciet styled dances that tells tories of our kupuna and more. Group Hula ‘Auana & Awards Apr. 27, 6 p.m. Hälau hula will preform modern styled dances, followed by an awards presentation for all group winners. Merrie Monarch Royal Parade Apr. 27, 10:30 a.m. Explore one of the festival‘s most entertaining and fun events. For all ages! The parade will begin and end at Pauahi St. (Kilauea Ave. – Keawe St. – Waiänuenue Ave. – Kamehameha Ave.). contact Kamuela Hardwoods at info@kamuelahardwoods.comor (808) 657 4797. For additional information, contact HFIA Executive Director Heather Simmons at 808-933-9411 or email: hfia@ hawaiiforest.org. Mālama Loko Ea Foundation’s recent fundraiser event, “Mālama the Invasives” raised over $10,000 to fund its sediment dredging project. The Hale‘iwa organization is using an industrial dredge to remove sediment from the bottom of the fishpond, then separating the water from solid soil, to restore the fishpond. The event celebrated agriculture, sustainability, and management of invasive species with a night of dining, featuring five master chefs Eric Oto, Mark Noguchi, Ed Kenney, Tammy and Danny Smith. The event was sponsored by The Kahala Hotel & Resort, The Pili Group, Hale Kealoha ‘Ai Pono, Ed Kenney, Nā Mea Hawai‘i, Honolulu Beerwork, Honolulu Tourism Authority, O‘ahu Visitor’s Bureau, Hawai‘i Visitors and Convention Bureau, Office of Hawaiians Affairs, Platinum Tents and Events, Hawaiian Airlines, Honolulu Star-Advertiser, Hawaii News Now, Summit Media, O‘ahu Broadcasting Company, Destination Hawai‘i, and Kamehameha Schools. To learn more about the Loko Ea Fishpond, visit www.lokoea.org. - Photos: Courtesy Mālama Loko Ea M. Kalani Souza and more. Participants will also learn about creating dishes and products with breadfruit and other crops grown together with breadfruit. This workshop goes even deeper, “reconnecting känaka, our people to the ‘äina, honoring traditional beliefs, while providing food security to nourish oneself as well as family, which is truly priceless,” says Kealoha Domingo. The registration fee is $110 per person ($95 for early registration by March 14) and includes refreshments and lunch (Saturday and Sunday). Advance registration is required and space is limited. Visit www.breadfruit.info to download the workshop agenda and a link for registration. Share your mana‘o! We want to hear from you. from mauka to makai… and online! Stay connected. Board of Trustees Note: Trustee columns represent the views of individual trustees and may not reflect the official positions adopted by the Office of Hawaiian Affairs Board of Trustees. Comâ&#x20AC;&#x2122;on OHAâ&#x20AC;Śhave will to win! Stop letting everyone take advantage of our â&#x20AC;&#x2DC;Hawaiianessâ&#x20AC;&#x2122;â&#x20AC;Śour aloha spiritâ&#x20AC;Śour kind, gracious, generous nature Translation: Why I voted NO on authorizing OHAâ&#x20AC;&#x2122;s Administration to start negotiations with the City & County of Honolulu to build a â&#x20AC;&#x2DC;stinkyâ&#x20AC;&#x2122; Sewage plant on Kakaâ&#x20AC;&#x2DC;ako Makai..Yes, your ceded beneficiariesâ&#x20AC;&#x2122; land! Please do not believe them when they say there will be NO SMELL! Right, this is what the Developers told Ironworkers Local 625 when they said that the Stadium steel beams would Never Rust! But, the â&#x20AC;&#x2DC;realâ&#x20AC;&#x2122; question is â&#x20AC;&#x153;what do we Hawaiians get out of this?â&#x20AC;? E Ă&#x2013; Mai KULEANA LAND HOLDERS THE KULEANA LAND TAX ordinances in the City and For more information on the County of Honolulu, County of Hawaiâ&#x20AC;&#x2DC;i, County of Kuleana Tax Ordinance or Kauaâ&#x20AC;&#x2DC;i and County of Maui allow eligible owners to for genealogy veriďŹ cation pay minimal property taxes each year. Applications requests, please contact 808.594.1967 or email are on each countyâ&#x20AC;&#x2122;s web site. All personal data, such as names, locations and descriptions of Kuleana Lands will be kept secure and used solely for the purposes of this attempt to perpetuate Kuleana rights and possession. hile OHA trustees play 2. GROW THE TRUST many roles in the HawaiAs I stated in “Crucial Recommendaian community tions,” reining-in excess spending and across the is necessary to preserve the interstate, there is generational equity of the NHTF, one function deserving of their and would also grow the current full attention: oversight of land NHTF value of $350 million to assets and the Native Hawaiian $795 million in 20 years. Trust Fund (NHTF). This requires For this reason, I am commitunderstanding that OHA is essented to keeping OHA focused on tially an administrator, tasked with a capital growth model, and for Keli‘i managing trust assets (comprised that, OHA must generate revenue of land assets and financial assets, from its land assets by finding Akina, Ph.D. i.e., the NHTF portfolio) for the ways to properly develop OHA’s betterment of the conditions of goldmine properties in Kaka‘ako Trustee, native Hawaiians. Makai. OHA received 30 acres of At-large As I have stated in previous land in Kaka‘ako Makai in 2012, columns, Trustees need to commit and the lack of progress in develto: (1) protecting the trust, (2) opment of the parcels costs OHA growing the trust, and (3) using the trust to significant money, when we factor in the serve beneficiaries. As Trustees now create lost income potential and the time-value of our next strategic plan, here are some issues money. I strongly believe we must address. As a result, OHA’s real estate portfolio currently only yields 2-3% annually. Com1. PROTECT THE TRUST pare that with Kamehameha Schools, whose In 2016, I produced a report entitled, land assets yield an annual return of 11%. “Crucial Recommendations for Achieving There is much potential for growth which Fiscal Sustainability.” In “Crucial Recom- we must stop missing out on. mendations,” I shared that OHA’s spending rate was unsustainable, and placed the inter- 3. USE THE TRUST generational equity of the Native Hawaiian OHA commissioned a scientific survey Trust Fund (NHTF) in jeopardy. Trustees in 2015, and among those surveyed, the now have an opportunity to address the sentiment was that OHA should spend its Spending Policy, and other financial poli- resources on bread and butter issues such as cies that are under review. housing, jobs, education and health care. OHA’s current Spending Policy allows Growing the trust can allow OHA to better for annual withdrawals of 5% from the use the trust for these stated objectives. With NHTF, and makes available an additional disciplined spending and a commitment $3 million from OHA’s Fiscal Reserve to growth of its assets, OHA can deploy (an account made up of carryover funds greater resources into the Hawaiian comfrom a previous budget cycle). Consultants munity, allowing for even more meaningful retained by OHA warned that at this rate, impact to OHA’s mission to better the conthe $350 million value of the NHTF is pro- ditions of native Hawaiians. jected to decline to $300 million in twenty years. Two recommendations were made: Conclusion maintain the Spending Policy and elimiThe strategic planning process is an nate Fiscal Reserve withdrawals, or reduce opportunity for Trustees to steer OHA into the Spending Policy to 4.5% and eliminate the future, therefore, hearing from our benFiscal Reserve withdrawals. eficiaries is particularly important now. Get I definitely recommend that we reduce in touch with your Trustees, and share your the Spending Policy to 4.5% and eliminate mana‘o on how OHA can best protect the Fiscal Reserve withdrawals completely. trust, grow the trust and use the trust for the With discipline to protect the trust, OHA real needs of the Hawaiian community. ¢ can focus on growing the trust. s an OHA Trustee, I feel a particular obligation to understand and respond to the plight of the thousands of native Hawaiian families who are Asset Limited, Income Constrained, Employed or ALICE. Nearly half of all Hawaii households are ALICE and struggling. There are ALICE households on every island, from over 30 percent on Kaua‘i to over 40 percent on Maui. The cost of labor processing paper forms in the last election was nearly $600,000. This is money that could be saved and redirected to areas of real need. Trustee, Maui Further savings could be derived from not having to print voter ALICE families are found in every registration forms, from the elimination of county, in rural, urban, and suburban areas. mailings related to duplicate registration They are people we know, often working entries, and from savings on the postage of hard to keep their heads above water while forwarding registration forms to the proper juggling two, sometimes three jobs to feed recipient. and shelter their family. They have no time for anything that takes away from the allAVR may not seem like a very pressing consuming effort to simply survive. Taking issue, but streamlining and removing roadthe time to register to vote is often one more blocks to democracy are crucial to uplifting chore that too often falls by the wayside on everyone. Easing access to voting when their list of priorities. Automatic voter reg- Election Day rolls around is especially istration (AVR) is a step in the direction of important to communities who are too better government that can help improve stressed to be able to afford the time and their lives. The good news is that the leg- burden of a separate voter registration proislature is seriously considering joining 17 cess and who therefore are not participants other states and D.C, to introduce AVR in in the process of choosing who can best Hawai‘i. We should cheer them on. represent their interests and address their needs. It also makes it harder for them to AVR offers speed, accuracy and conve- hold elected officials accountable because nience. It also saves money, as explained they sat out the election and failed to exerbelow. cise their vote. the Office of Elections will receive their updated information and, in turn, will ensure that there will be no money wasted sending ballots to the wrong address. From left to right, Haunani Kane, Ikaika Hussey, and Kealoha Fox. - Photo: Nelson Gaspar that this is a part of their practices and their kilo [observation ]– skills as loea, or skilled masters, for our people. They share with us that our history is not an artifact; our history is actually a prophecy. And that we can already see the shifts when you can combine it with rigorous world class science. I think that’s where Hawai‘i can fundamentally lead the world in what climate action can positively look like, from a community-based, culturally-appropriate lens. Hussey: Haunani, in your research, are their elements of indigenous knowledge that we can call upon now? Kane: For my research, I study atolls and how they form. These low lying islands are composed entirely of rubble of cora, sand, shells and hard pieces of algae that are deposited from the reef. So in order for your island to be healthy, your reef must be healthy. We have an ‘Ölelo No‘eau that describes that: “he püko‘a kani ‘äina.” It talks about how an island grows from the reef. We’re relearning that knowledge. But we’re learning how to apply it in today’s world, in today’s issues. E na- ‘ohana Hawai‘i: If you are planning a reunion or looking for genealogical information, Ka Wai Ola will print your listing at no charge on a space-available basis. Listings should not exceed 200 words. OHA reserves the right to edit all submissions for length. Send your information by mail, or e-mail kwo@OHA.org. E ola na- mamo a Ha- loa! 2019 ALAWA NAKIKE KAU AKI – Tutu Daisey Alawa Nakike Kau Aki Gathering. Her descendants are invited to the 100th anniversary of her passing on Saturday, June 1, 2019, at the Mänoa Valley Theater/Mänoa Hawaiian Cemetery, 2822 E. Mänoa Rd., Honolulu. Graveyard Cleanup 9 a.m. – 10:30 a.m. followed by a pot-luck lunch. Bring your own tools, chairs, leis, etc. Further inquires contact your ‘Ohana Rep. or email rosejuly.yam@gmail.com. LINCOLN – Descendants of Lorenzo Lincoln. The ‘Ohana Lincoln Reunion Committee is planning our next family reunion for Friday, June 21 (family tour) and Saturday, June 22, 2019 (at Hale Hälawai) in Kona. Reaching out to the descendants of Lorenzo Lincoln! Please contact the following Committee Members for more information: Rowena Lincoln at 808-497-1219, email: Ehulani822@yahoo.com, or Jonna Robello at 808-256-7817. (If neither of us answers the phone, leave a message please.) HEEN/MEHEULA – Calling all descendants of Chung Mook Heen, known in Hawai‘i as Harry A. HEEN married Mary (Mele) Helemika Keaukahalani MEHEULA. Known Children: William Ha‘eha‘e Heen, Afong Waianuenue, Phoebe Kaenaokalani, Moses Keli‘iolono Heen, Eliza (lulu) Lulukamakani, Ernest Nalanielua; Robert Kanehailua Kekuaiwahia, Edward Kahakelehua, and George Keawe-ameheula. Harry may have had other wife’s, we are hoping to connect with that ‘Ohana as well. We are in the planning stages but are looking to do a family reunion sometime in 2020 on O‘ahu. Please contact Teave Heen 808-870-7656 teavehee@gmail.com or Curtsi Heen Curtis.heen@yahoo.com. (Koleka Paauhau), George H. K. Hanawahine Sr.(1st wife: Victoria Kaupu 2nd: Julia Keala), Samuel K. Hanawahine (1st wife: Julia Keauhou 2nd: Miriam Dela Cruz), Mary Hanawahine born Kane (Henry Kaioula), Eva Hanawahine (Henry John Silva), Sophie Hanawahine (Fabiano Kealoha), Katy Hanawahine (Yan Gen Pil), and Rachel Hanawahine (Albert Kamai). Any information on our ‘ohana’s moku‘au‘hau will be valued. Please contact Quiana Danielson-Vaielua by phone 808-371-9660 or email quianakdv@gmail.com. I am the great-great granddaughter of Soloman Hanawahine and Kane Keawe, great granddaughter of Samuel Hanawahine and Miriam, and grand of Naomi Hanawahine. Gaison – I am looking for members of Kalihi Canoe Club (‘60s and ‘70s) under coaching staff of Samuel and Sara Gaison. We are planning a get together. Please contact Jeanne Kahanaoi at 354-7365. KAIWA – Looking for descendants or related ‘Ohana Members of ‘BILL KAIWA’, aka ‘SOLOMAN ANI. Please contact ROBERTA BOLLIG 320-248-3656 or flh63kb@yahoo.com MAHALO! GRAMBERG – Searching for the descendants or any related ‘ohana of Herman Gramberg and Rose Anakalea. Children of Herman and Rose are Herman “Waha”, Theresa, George, Vivian, Henry “Heine”, Darilynn, and Rosebud. Looking to update genealogical information. Please email gramberg ohana1@gmail.com. Any inforomation shared is greatly appreciated. Mahalo! KALAUPAPA – Are you looking for an ancestor at Kalaupapa? Ka ‘Ohana O Kalaupapa, a nonprofit organization made up of Kalaupapa residents, family members and friends, might be able to help. We have information on more than 7,000 people sent to Kalaupapa. Contact ‘Ohana Coordinator Valerie Monson at vmonson@kalaupapaohana.org or call 808-573-2746. KAMAKAU – Looking for anyone with information on Abigaila Ellen Hakalaniponi (also known as Poni) Kamakau. Born at Kaopipa/Kaupipa, Kipahulu, Maui on September 3, 1850 and died at Kahehuna (Honolulu) on January 20, 1884. Please contact 808-366-0847 or lruby@hawaii.edu. Main: 596-8990, ext. 1007 Main number services the following islands: Hilo, Kona, Maui, Lāna‘i, Moloka‘i, Kaua‘i and O‘ahu. Register with us today: hiptac.ecenterdirect.com For information, contact our office at: ptac@hookipaipai.org or 808-596-8990 ext. 1007 711 Kapi‘olani Blvd., Ste. 111, Honolulu, HI 96813 Validated parking at Pacific Park Plaza parking structure on Curtis Street Funded by the Office of Hawaiian Affairs (OHA) and U.S. Defense Logistics Agency. Planning or having family reunion? Print a notice in the Ka Wai Ola. Email what you would like to print to kwo@oha.org by the 15th for the next month’s edition. Classified ads only $12.50 - Type or clearly write your ad of no more than 175 characters (including spaces and punctuation) and mail, along with a check for $12.50, to: Ka Wai Ola Classifieds, Office of Hawaiian Affairs, 560 N. Nimitz Hwy., Suite 200, Honolulu, HI 96817. Make check payable to OHA. (We cannot accept credit cards.) Ads and payment must be received by the 15th for the next month's edition of Ka Wai Ola. Send your information by mail, or e-mail kwo@oha.org with the subject â&#x20AC;&#x153;Makeke/Classified.â&#x20AC;? OHA reserves the right to refuse any advertisement, for any reason, at our discretion. Hawaiian Memorial Park Cemetery Garden of Mt. View. Lot 154, Section-B, Sites 2-3. Selling both plots - $12,000. Contact Evangeline at 808-651-1926. - 5 bedroom, 3 bath $650,000 Leasehold-Charmaine I. Quilit Poki(R) (RB-15998) Keller Williams Honolulu (RB-21303) (808) 295-4474. Hawaiian Memorial Park Cemetery Garden Central, Lot 21, Section D - Site 3. Plot could be used for 2 caskets â&#x20AC;&#x153;Double Siteâ&#x20AC;?. Selling for $5,500.00 or best offer. Contact Harold at 808-5977710 anytime. Homes with Aloha-Kapaâ&#x20AC;&#x2DC;akea/ Molokaâ&#x20AC;&#x2DC;i 2 bedrooms/2 bath OCEAN FRONT 15,339 sq.ft.lot. $350,000 Leasehold-Charmaine I. Quilit Poki(R) (RB-15998) Keller Williams Honolulu (RB-21303) (808) 295-4474. Hawaiian Royal Crest patches, detailed, iron-on/sew-on, 4" size, (5.00). Large, 3'x5', Kanaka Maoli and Hawaiian flags (strong nylon) for your truck or boat, ($10.00), kanaka maoli T-shirts and tank tops printed with royal crest of flag from $10.00; window decals, bumper stickers, etc. ORder online www.kanakamaolipower. org or phone 808-332-5220. Homes with Aloha-Waimea/Big Island - Great condition, 2 bedroom/1 bath home on 10,000 sq.ft lot $300,000. Leasehold-Charmaine I. Quilit Poki(R) (RB-21303) (808) 295-4474. MĂ&#x201E;lama I Na KĂźpuna. Know Your Medicare Options - Medicare Advantage Plus, Medicare Supplement Insurance, Prescription Drug Plans; Dental, Vision & Hearing. Call Larry (KS â&#x20AC;&#x2DC;75) 808-3048271 or email lkiyohiro@yahoo.com. 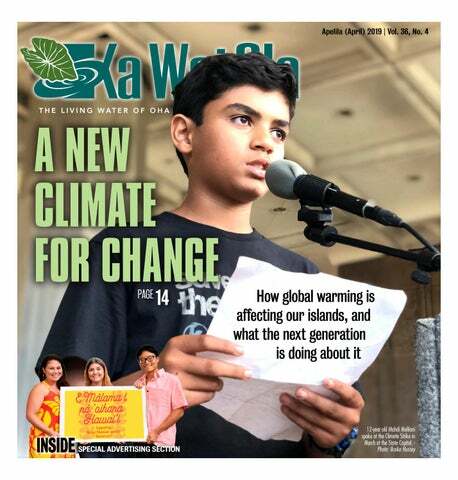 Get your FREE subscription to Ka Wai Ola. Go to www.oha.org/kwo to sign up. Nationally-acclaimed educational enrichment program that provides year-round college and career planning workshops, interactive lessons, and the support of program counselors to high school students not currently enrolled full-time at a Kamehameha Schools campus. Application deadline: April 30, 2019 Admissions for students entering Grade 9 and 10. Application deadline: April 30, 2019 For a list of eligible high schools and to apply online, visit ksbe.edu/earlycollege or call (808) 534-8080. Learn more at ksbe.edu/kscholars or call (808) 842- 8800. Kamehameha Schools gives preference to applicants of Hawaiian ancestry to the extent permitted by law. Kamehameha Schools gives preference to applicants of Hawaiian ancestry to the extent permitted by law.